Today is the day! Women and Confidence hit Amazon bookshelves (?) and is available to purchase! In honor of publishing my first book, not only will the Kindle Version be on sale (100% FREE) for the next 48-hours (hurry to Amazon if you haven’t already! ), but my subscribers will receive FREE access to select portions straight to their inbox, as well as some upcoming goodies. Sign up below to receive access - if you already receive my weekly newsletters, you will automatically be included! Sign up with your email address to a free sneak peek of the book, straight to your inbox! Throughout their years of coaching women, authors Bastianutti and Ford were struck by how many smart, talented, articulate, and brilliant women they had encountered--who despite all of that--continued to sit on their ideas instead of sharing them; continued to second-guess themselves; and continued to let their insecurity hold them back and play small both in their work and relationships. They too recognized themselves to be one of those women.They wondered why the problem of insecurity had such a hold on women, despite all of the tools and strategies they utilized in their work as coaches. Why were women unable to close the gap of insecurity and change the habit of being their insecure self? Why wasn’t it working?These are the questions that get answered in their new book: Women and Confidence: The Truth About the Lies We Tell Ourselves. What if everything you thought you knew about how to be confident actually missed the mark? What if you’ve been looking in the wrong direction? Women and Confidence: The Truth About the Lies We Tell Ourselves, makes a bold and revolutionary claim that confidence is not something we have to achieve or create, but is in fact, an innate quality every single one of us possess. Sharing personal stories from their own life, authors Bastianutti and Ford illuminate the key role that thoughts and feelings play in how our experience of insecurity and confidence gets created. They make a strong and powerful argument that turns modern psychology on its head and allows us to see the illusion of our insecure thinking and more importantly, how to get free of it. 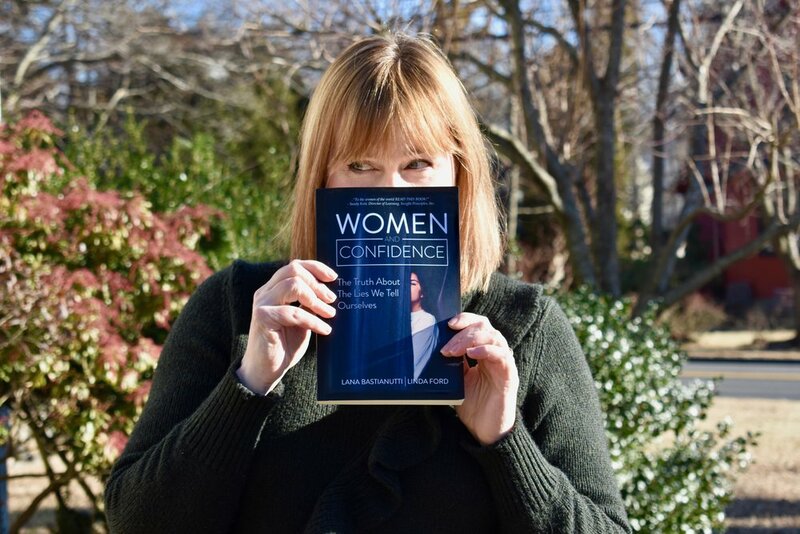 With their compelling and very personal stories, each chapter argues and refutes the “lies” women tell themselves about why they can’t be confident--why they believe it’s not possible to be confident--both in their professional and personal life. This book finally leads women to the truth about this elusive quality we all want. It’s simpler than we think. Linda Ford is a certified master coach. She has always been deeply curious about transformation and the human potential. She has spent decades steeped in the world of self-help both as a practitioner and as a coach. Linda has been personally trained by Dr. Martha Beck, New York Times bestselling author. Linda holds a master's degree in English Literature. Her professional background includes teaching English and working in the world of international development. Linda lives in Rockport MA with her husband Tim and dog Scout.